Do you drink enough water everyday? Do you often forget to drink water during the day? You do not have enough time to count the amount of water you are drinking? Do you drink the amount of water you need every day? 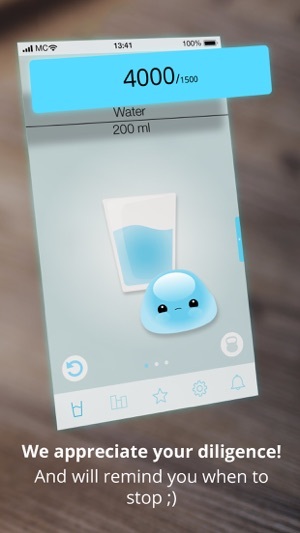 If your answer is 'no' or "I don't know', then our "Water Time" app is for you! 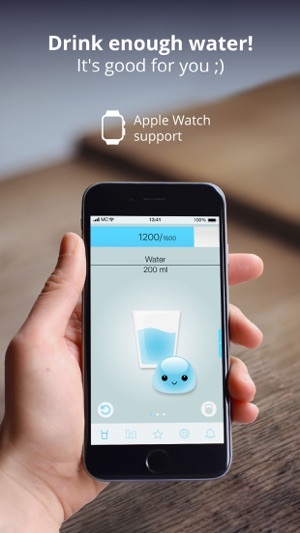 Our Water Time app is a simple tracker & reminder designed to remind you to drink water during the day to help you stay hydrated and improve your health. It is advisable to drink 1.5L to 2L of water a day, and we know how much it is a real challenge for everyone. That's why we created "Water Time", an ideal health and fitness app to help you drink the amount of water you need every day! We have specially designed it for busy and active people. 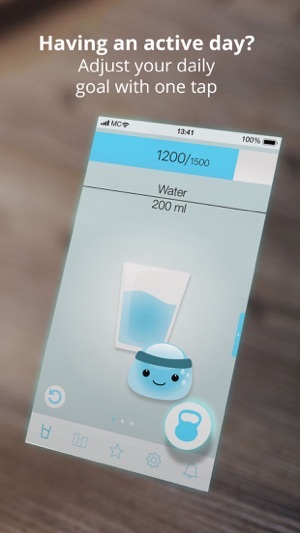 So, you do not need to schedule it anymore because a notification will remind you to drink water on time, thus avoiding dehydration and this, especially during summer. The "Water Time" application can help you to establish a healthy daily habit, but also to avoid dehydration by allowing you to maintain a good hydration while accelerating your metabolism instantly! You can keep track of your required water consumption in time and quantity, but also configure it according to your activity, which can be easily modified according to your diet. 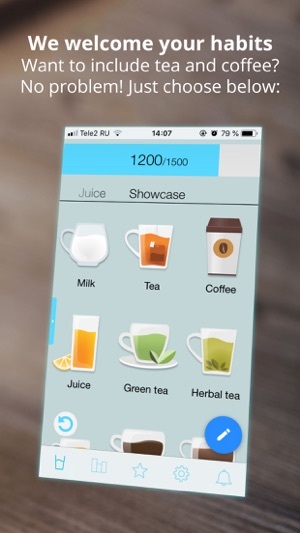 Our "Water Time" app can also help you normalize your water balance, cleanse your body and thus improve your health and well-being. With only one month of use of our application, you will take the good habit of properly hydrating your daily life by drinking the amount of water needed by your body, which will greatly improve your health. 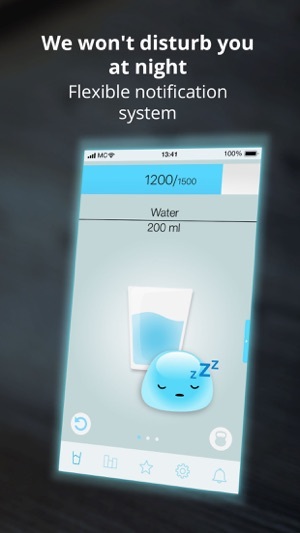 Do not be afraid anymore to forget to hydrate yourself thanks to our "Water Time" app. It will remind you daily to drink water regularly throughout your day. - drinking enough water will help you stay fit and enduring. A simple diet in itself. - drinking enough water can relieve your headaches that are commonly due to dehydration, especially when you wake up. Unleash the power of water (H2O) in you, because your health depends on it! 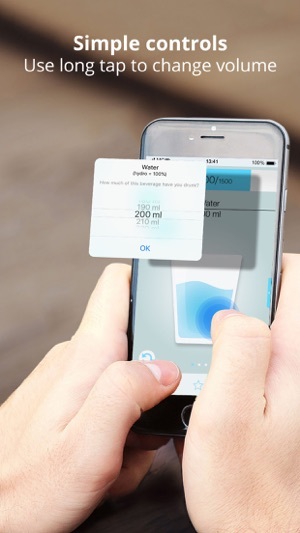 - Its automatic calculation of the amount of daily water required according to your weight. The app has integration with Apple Health and we use HealthKit. I love this app! It’s easy to use and very helpful. I just updated to iOS 11 and I’m not seeing the badge on my icon (on my iPhone). I’ve checked the notification settings and I have the badge selected... Any ideas? Also, what does the pro offer differently than the free version? Thank you. The app is very helpful. I always used to have a bottle of water with me but lately I’ve been a little forgetful. So Ms. Droplet helps me out. I may not pay attention all the time but I’m drinking more! Plus I’m now using a big reusable “sippy cup” instead of plastic bottles. I am so thankful for this app! Very easy to use! Before I would go hours before realizing I hadn't drank any fluids! Thanks to this app and it's hourly reminders, I am now drinking more and even exceeding my fluid intake. Yay!!! Thank you water time! The drop is also super cute! Another plus!